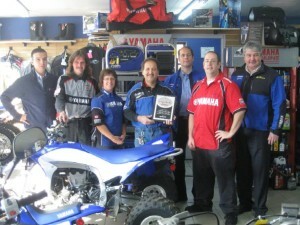 For the second consecutive year, Séguin Sport, with his team, has earned the five stars distinction, YAMAHA highest’s for service and product knowledge. This prestigious award is given to a select group of dealers who are committed to provide an unparalleled experience to their customers at the time of the sale and meeting. Only a few dealers YAMAHA get this coveted title.